Mal Dicen strikes again with a tropical cocktail from a long awaited collaboration between two of our most beloved artists, Deejay Dario and Chito Rock. Dario’s beats are always brooding and sultry—almost as if you dropped dembow and baltimore drums sprinkled with layers of tropical techno while Chito Rock spits fire as usual, he sings over those beats instead of rapping. 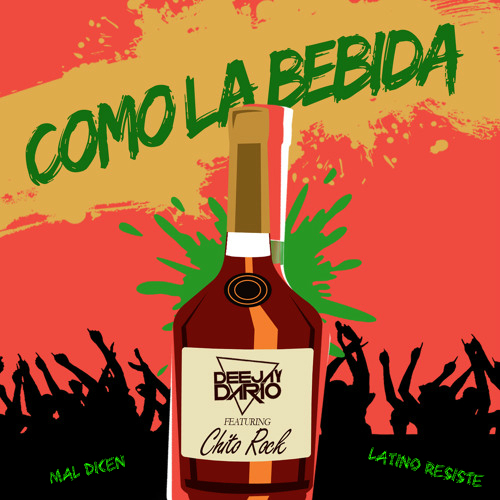 While old reggaeton’s lyrics tended to be hood tales, and idolatry to the majesty of butts, Como la bebida is an ode to having a good time, grab your drink and just put em up!.